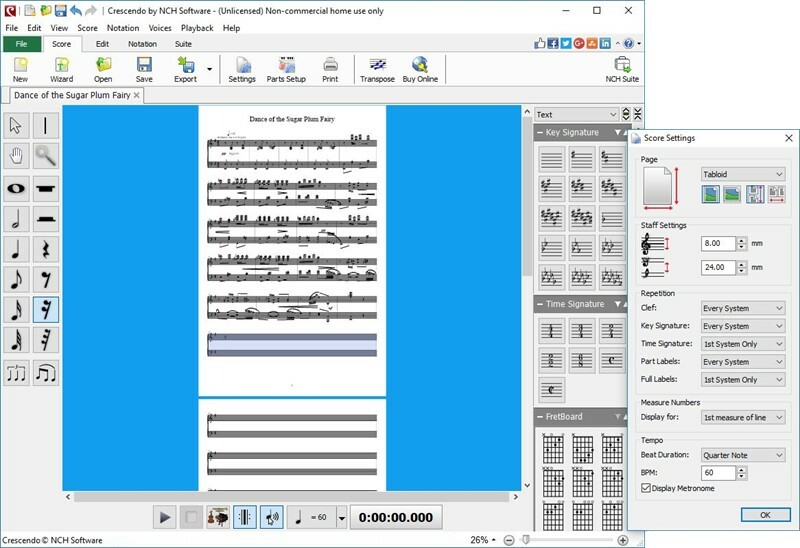 Crescendo Music Notation Editor Plus and Composition Software. Professional music notation and composition software to arrange your own professional quality sheet music using a wide array of music symbols and notes. Create professional music scores with this intuitive and easy to use software. Crescendo Plus is the most intuitive music notation and composition software to arrange your own professional quality sheet music using a wide array of music symbols and notes.